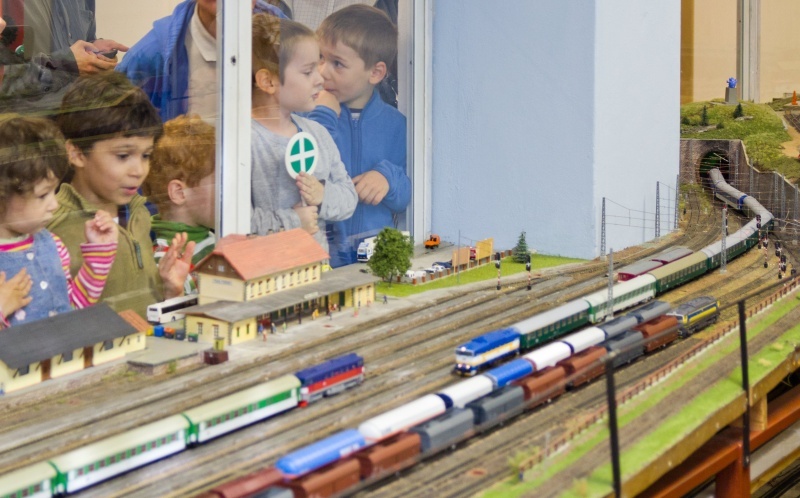 Our model railway layout ranks among the biggest in the Czech Republic. It is situated in Prague's Youth Center – in the building dedicated to young technicians, located in Podbaba district. We would like to present you an overview of our modeller's club history, H0 gauge model layout and our current activities. 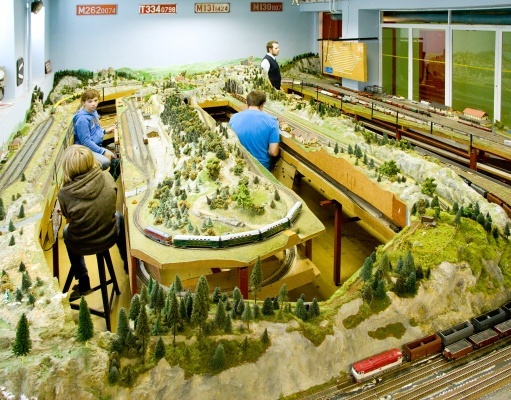 Railway modeller's club started in 1960s with a big layout in Karlín district. In 1983, new building in Podbaba was established especially for technical activities. As the old layout couldn't be moved, our current one was established in 1985. In the very year 350 square feet new room was ready and frame welding begun. 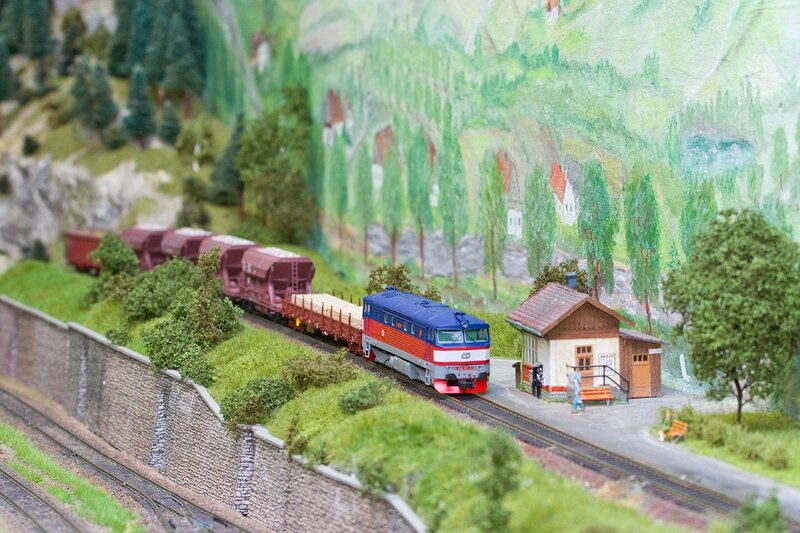 Owing to some time consuming cultivations of the basic concept between club members, it took several following years to conclude the plans, lay down the tracks and create basic polystyrene terrain. 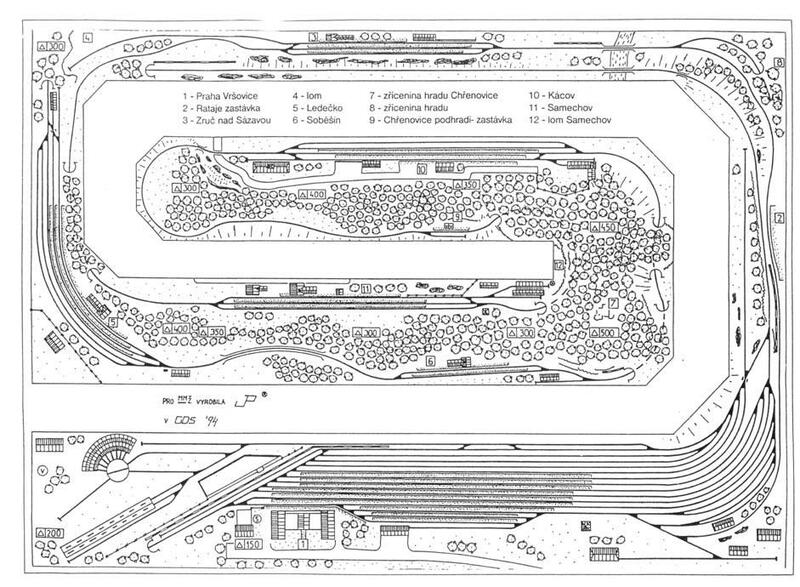 More than 1200 feet of the track and around 120 switches were layed. Up-to-date arrangement has finally emerged as a result of long discussions. 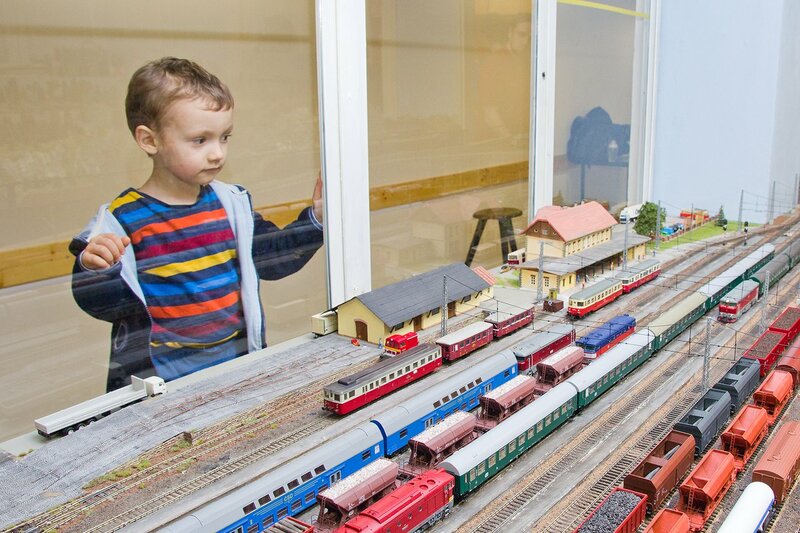 Mainline route runs through the biggest station – Praha Podbaba – right before the visitor's eyes. From here, a branch line diverge into the background, composed of a local line with four smaller stations: Zruč nad Sázavou, Samechov, Kácov and Ledečko. They imitate a local route of the so-called Posázavský pacifik, south of Prague, famous in the 20th century for its strong recreational traffic – citiziens travelling out of the grey city for a weekend in nature. (Today, these routes are numbered 210 and 212.) 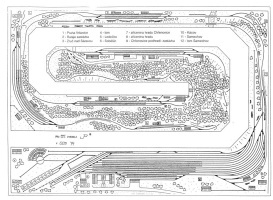 Trains from all the three visible track ends than run long distances under the model terrain, travelling through three underground levels finally arrive into staging station at the bottom. 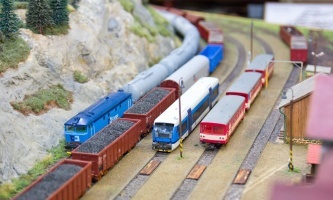 Thanks to this arrangement, fully realistic train operations are possible, although most of the tracks can also be used in continuous operation. Even a very fast train won't be visible for some ten minutes before it returns back to be observed again on the surface. Buildings and details around the tracks are modelled to be in accordance with reality of the late 1960s up to today. Road vehicles and other smaller details are sometimes replaceable by appropriate substitutes of respective times. 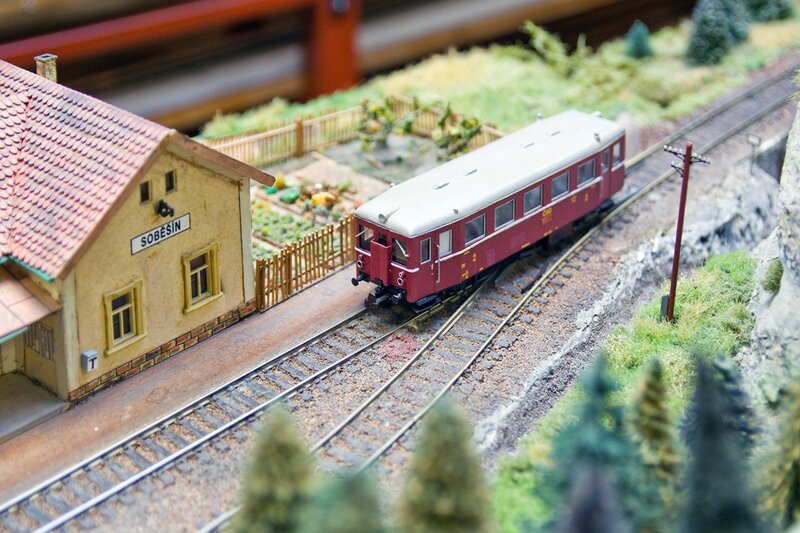 Thanks to that, we can operate railway models from more than just one european model era on different occasions. Since the layout doesn't operate in digital mode yet, electric wiring of each station is independent. All the trains in a station are controlled conventionally by one operator. Advanced safety mechanisms and centralized traffic control are still under construction. Usual digital control with walkaround throttles isn't suitable for us at all – narrow space inside the layout doesn't allow meeting with other engineers comfortably. Due to lack of space, visitors can't enter the layout during operation. 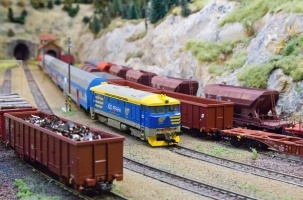 Typical rolling stock used in the operation consists of Czech dieselelectric locomotives and railcars on the local route, Czech electric and also big Soviet dieselelectric locomotives on the main line. Visitors can most often meet locomotive classes T478.1 ČSD (751 ČD), T478.3 ČSD (753 ČD), T679 ČSD (781 ČD), M152 ČSD (810 ČD) and M262 ČSD (830 ČD). These represent traffic in the 70s, but can be used as well in the 60s (representing then state of the art vehicles) as in the 90s. Even today, in the 21st century, in prototype they are often after reconstruction or run heritage runs. In addition to these, steam locomotives or modern electric vehicles are operated to supplement impression of particular model time period. Since 1995, all of the terrain forming is complete, but today (2014) some areas are twenty or so years old and the layout is being worn out. Several adult and children club members repair the model and if necessary, reconstruct some parts, even whole stations. 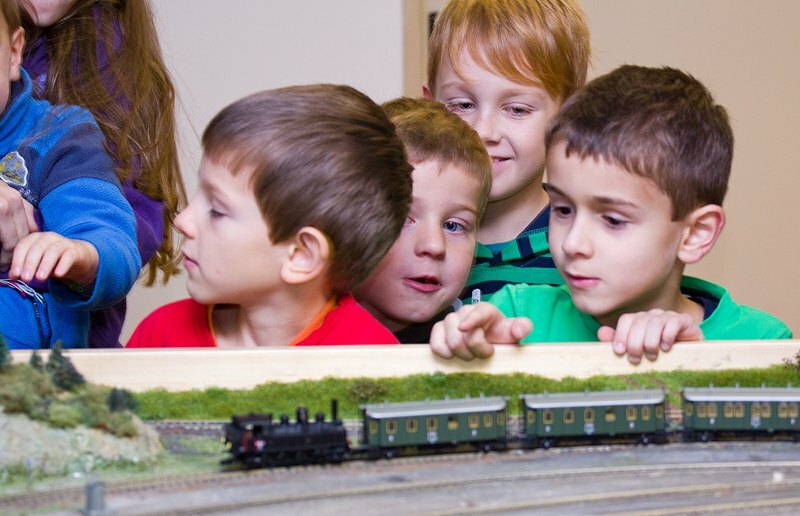 In their out-of-school activities, children are learning modelling techniques and are educated on specialized railway topics. Members who attended club as kids contribute in the activities and help their juniors. 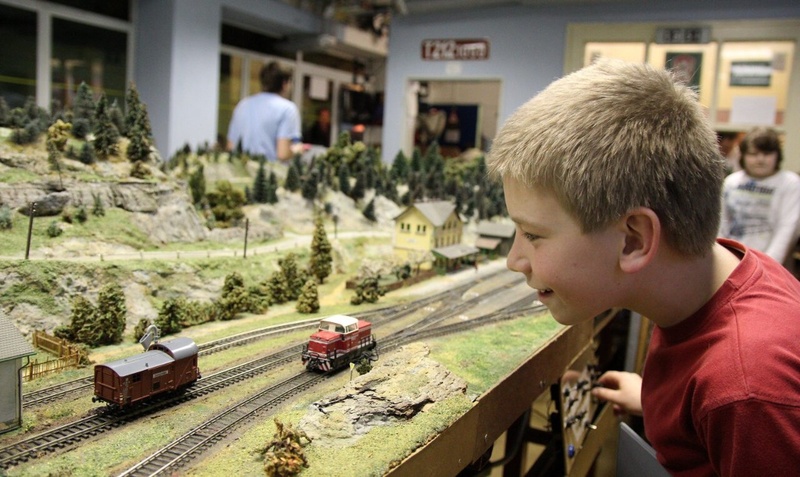 Nearly every month during the school year, there is one Saturday when the layout is presented to the public. 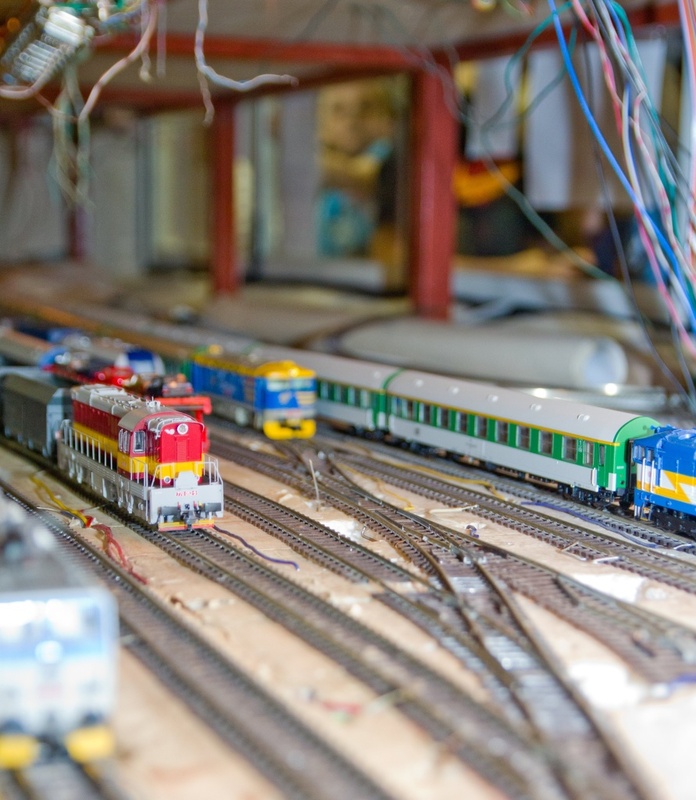 It's operated by at least 9 club members to cover all traffic and up to 20 train sets can alternate. 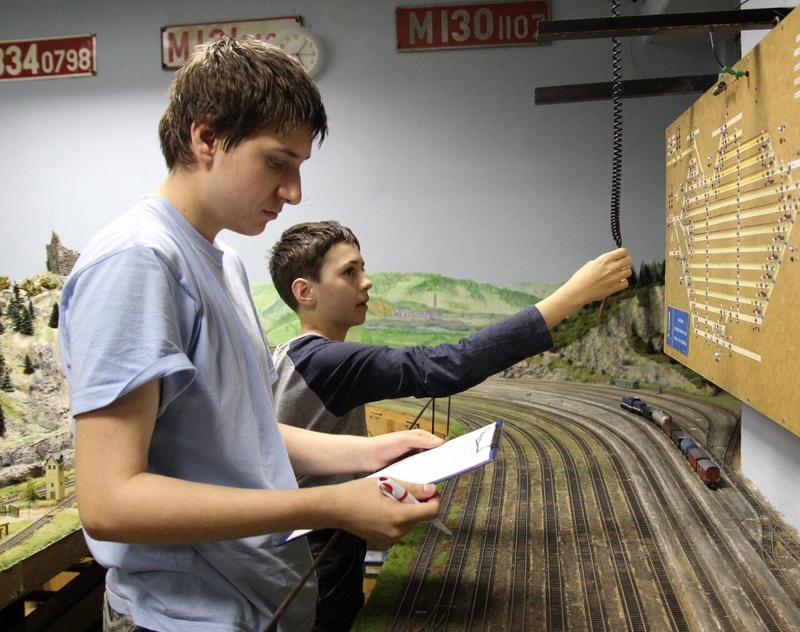 We have also prepared realistic schedules for the trains, so not only we can play with trains, but realistic, sometimes even prototypical operations take place on our layout.